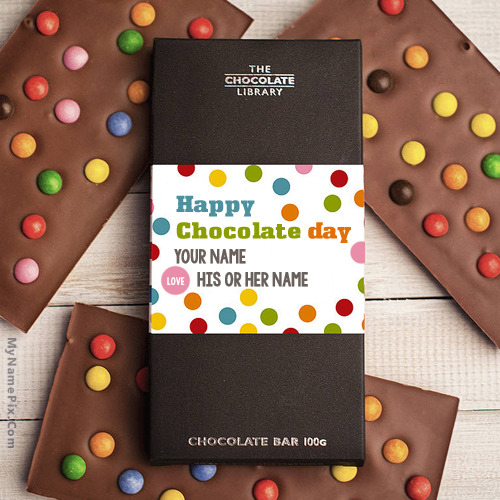 Write name on Happy Chocolate Day images in an awesome style. Best app that provides free services to write name on pics. Spread love and happiness to other with their name on images. Get chocolate day images with name from below.